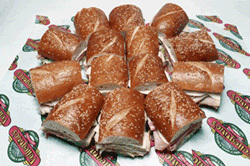 Pellegrino's Deli Cafe offers catering and delivery for meetings, groups and special events. Whether it's an office party, corporate event, birthday party, sporting event, picnic or graduation party, let us take care of the food so the only thing you have to do is place the order. Our hassle-free catering has all the ingredients to make your event a success! To help us serve you and your guests better, please provide us with an advance notice of at least 24 hours when placing a catering order. 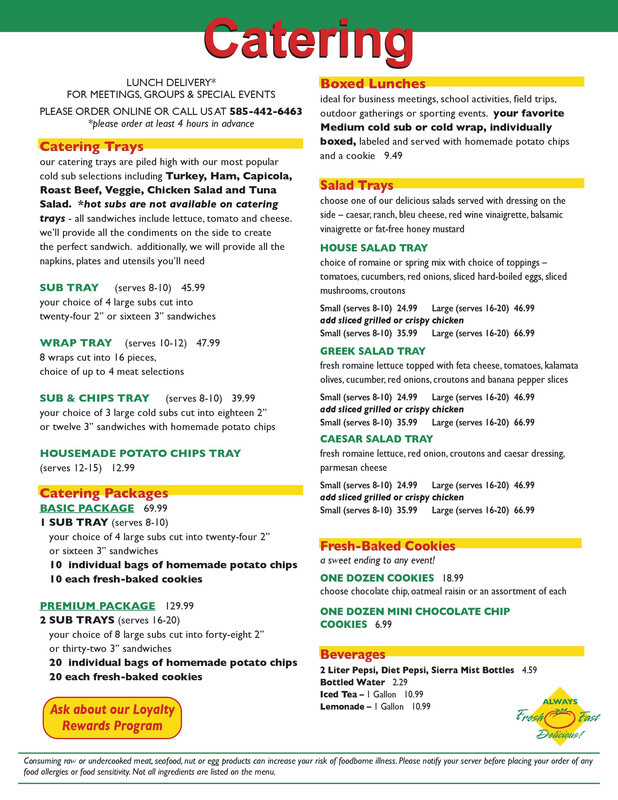 For more information and pricing, please see catering menu below.